FARMINGTON, Conn., April 10, 2019 /PRNewswire/ — Horizon Technology Finance Corporation (NASDAQ: HRZN) (“Horizon”), a leading specialty finance company that provides capital in the form of secured loans to venture capital backed companies in the technology, life science, healthcare information and services, and cleantech industries, today provided its portfolio update for the first quarter ended March 31, 2019. 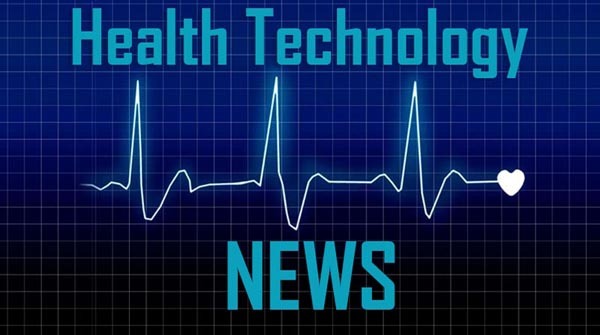 $15.0 million to a new portfolio company, Mustang Bio, Inc., a clinical-stage biopharmaceutical company focused on translating today’s medical breakthroughs in cell and gene therapies into potential cures for hematologic cancers, solid tumors and rare genetic diseases. $2.5 million to an existing portfolio company, New Signature US, Inc. (“New Signature”), a leading cloud-first, full-service Microsoft provider and consultancy that delivers professional and managed services to a global client base; including $1.5 million of which Horizon funded to Horizon Secured Loan Fund I (“HSLFI”), a joint venture, for its investment in New Signature. $1.7 million to an existing portfolio company, IntelePeer Holdings, Inc. (“IntelePeer”), a leading provider of business communications; including $0.6 million of which Horizon funded to HSLFI for its investment in IntelePeer. In February, Rocket Lawyer Incorporated (“Rocket Lawyer”) prepaid its outstanding principal balance of $9.7 million on its venture loan, plus interest, end-of-term payment and prepayment fee. Horizon continues to hold warrants in Rocket Lawyer. In February, Luxtera, Inc., in connection with its sale to Cisco, prepaid its outstanding principal balance of $3.5 million on its venture loan, plus interest and prepayment fee, and Horizon received proceeds of approximately $0.8 million in connection with the termination of Horizon’s warrants. In February, Horizon received proceeds of approximately $1.0 million upon the sale of Horizon’s equity investment in Insmed Incorporated. Powerhouse Dynamics, Inc. (“Powerhouse”) prepaid its outstanding principal balance of $0.4 million on its venture loan, plus interest and prepayment fee. Powerhouse also completed a sale transaction from which Horizon received proceeds of approximately $0.1 million in connection with the termination of Horizon’s warrants in Powerhouse. Horizon Technology Finance Corporation (NASDAQ: HRZN) is a leading specialty finance company that provides capital in the form of secured loans to venture capital backed companies in the technology, life science, healthcare information and services, and cleantech industries. The investment objective of Horizon is to maximize its investment portfolio’s return by generating current income from the debt investments it makes and capital appreciation from the warrants it receives when making such debt investments. Headquartered in Farmington, Connecticut, Horizon also has regional offices in Pleasanton, California, Reston, Virginia and Boston, Massachusetts. To learn more, please visit www.horizontechfinance.com. Statements included herein may constitute “forward-looking statements” within the meaning of the Private Securities Litigation Reform Act of 1995. Statements other than statements of historical facts included in this press release may constitute forward-looking statements and are not guarantees of future performance, condition or results and involve a number of risks and uncertainties. Actual results may differ materially from those in the forward-looking statements as a result of a number of factors, including those described from time to time in Horizon’s filings with the Securities and Exchange Commission. Horizon undertakes no duty to update any forward-looking statement made herein. All forward-looking statements speak only as of the date of this press release. Previous Point of Care Decision Support Announces Partnership with CoaguSense, Inc.